Free bus services for Malaysian only. 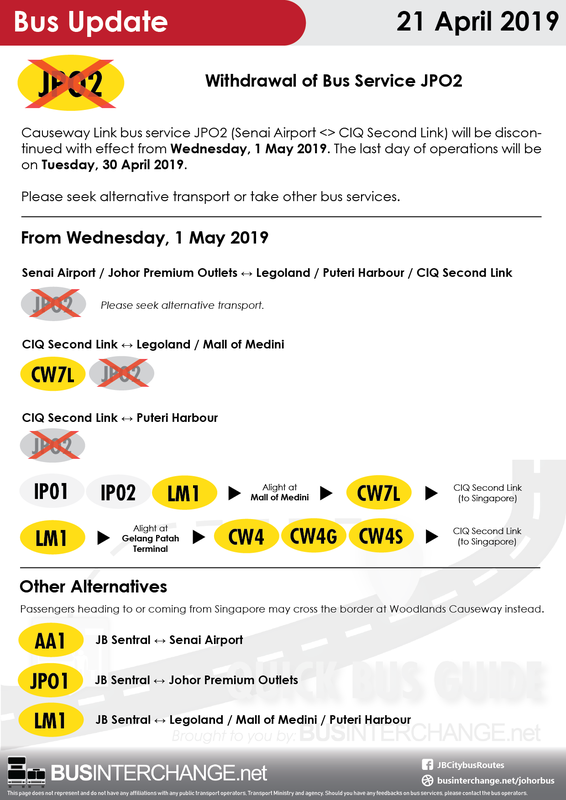 From 1 May 2019, bus service JPO2 from Senai Airport to CIQ Second Link operated by Causeway Link will no longer be offered. The last day of service is on Wednesday, 30 April 2019. 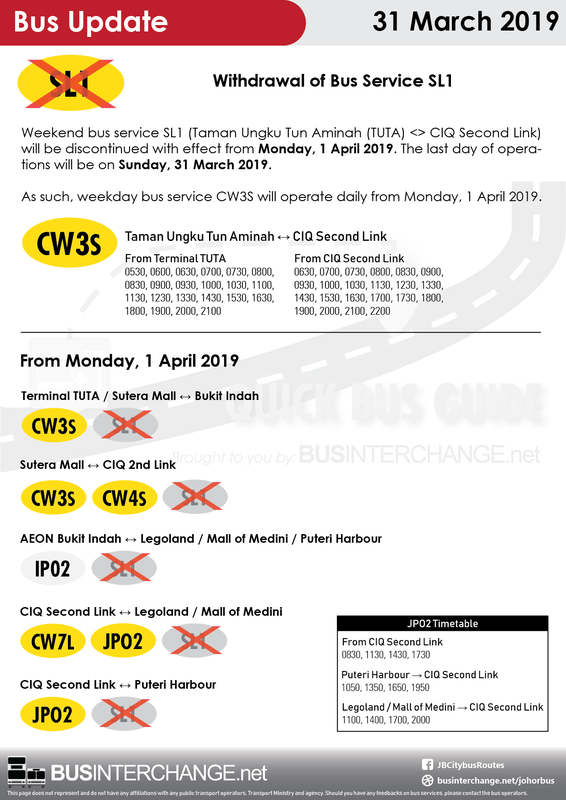 From 1 April 2019, weekend bus serviceSL1 from Taman Ungku Tun Aminah (TUTA) to CIQ Second Link operated by Causeway Link will no longer be offered. 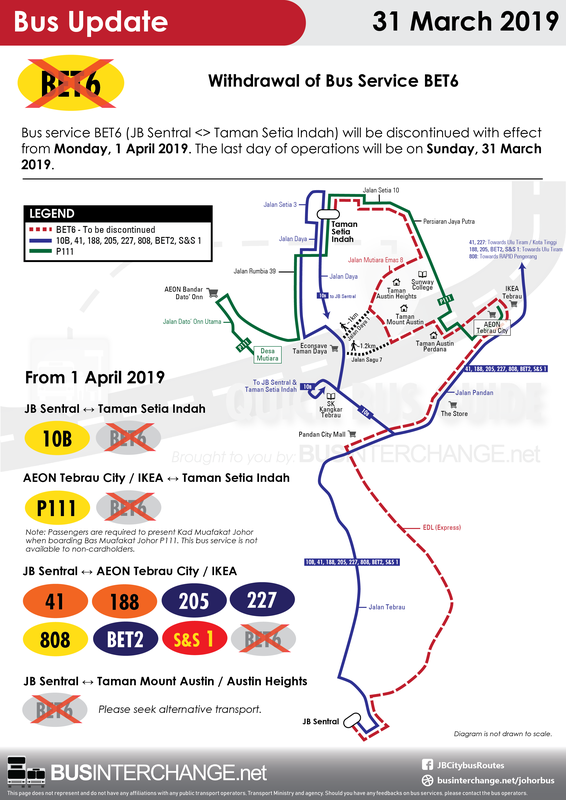 The last day of service is on Sunday, 31 March 2019. 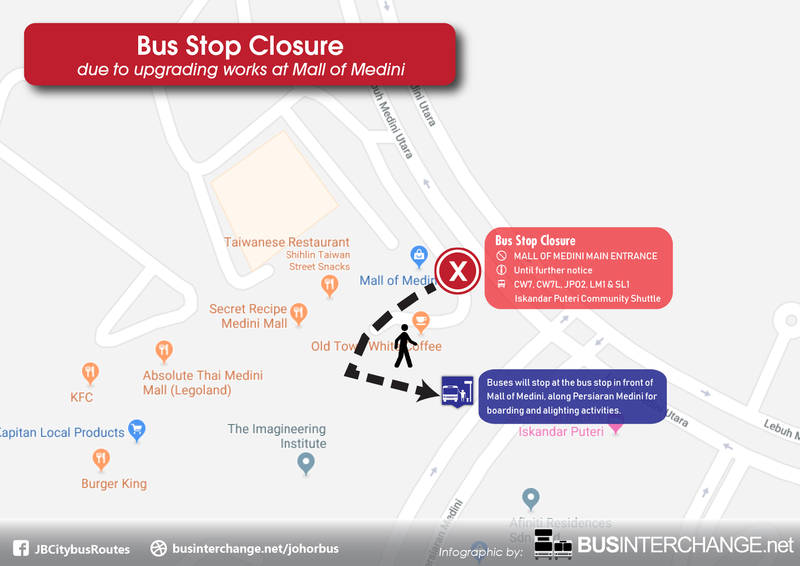 The pick-up and drop-off point at Mall of Medini Main Entrance will be closed due to upgrading works until further notice. 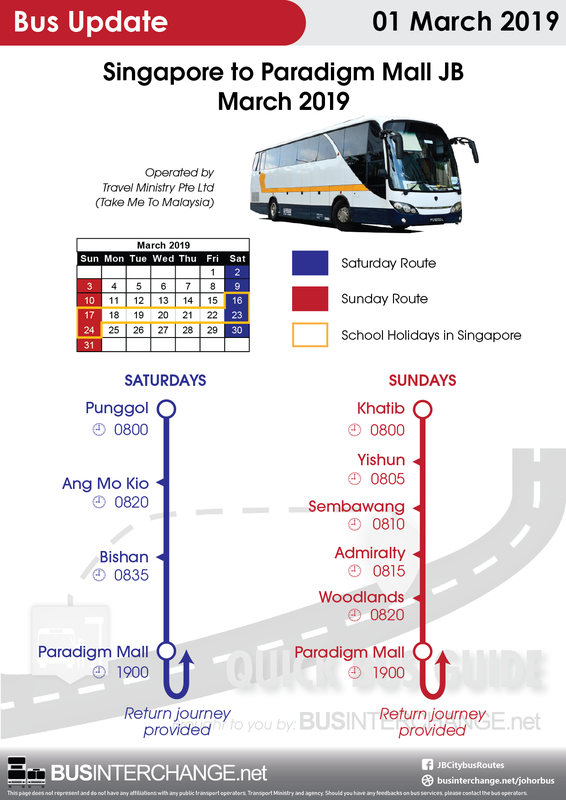 In March 2019, direct bus services from 8 MRT stations in Singapore to Paradigm Mall Johor Bahru (JB) will be in operation on weekends.